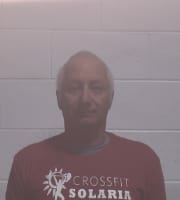 Owner and Coach Greg Petersen has been CrossFitting for nearly a decade and is Functional Movement Screen certified. He loves seeing people accomplish things they never thought possible, while accomplishing their goals. Though he didn't play any sports in high school or college, he trained in Tae-Kwon-Do for 15 years and is a 3rd degree black belt. He started CrossFit in 2008, and became a Level 1 trainer a few years later. He took the leap toward opening CrossFit Solaria two years ago and hasn’t looked back since.